There have been many times we have gone to a service call where the remotes for the garage door opener are not working or have a very short range. This can be caused by many things like weak batteries in the remote, some appliance causing interference, a bad receiver in the opener and yes even an LED light bulb in the garage or garage door opener. We recommend standard, not LED, light bulbs for garage door openers. LED light bulbs emit a signal that can interfere with the garage door opener remotes. 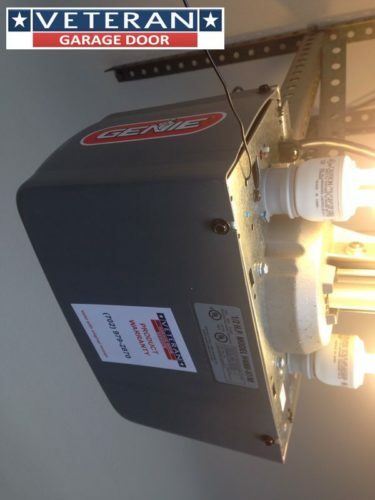 Both Liftmaster and Genie are now manufacturing LED light bulbs that they recommend that will not emit a signal that interferes with the opener remotes. When thinking about light bulbs I recall an incident involving LED lights in a customers landscaping that interfered with the garage door opener remotes. This customer garage door would only open using the remotes if you got out of the car and stood right against the garage door, and even then it would only work part of the time. When I noticed a small blue LED light shining from a plug in the garage, I asked the customer what that plug was working. The customer explained it was for their LED landscaping lights. I unplugged the LED landscaping lights and the remotes opened and closed the garage door from about 2 houses away, but with them plugged in the remotes would only work intermittently when standing against the garage door. I share this only to make the point that in some cases LED bulbs drastically interfere with garage door opener remotes. 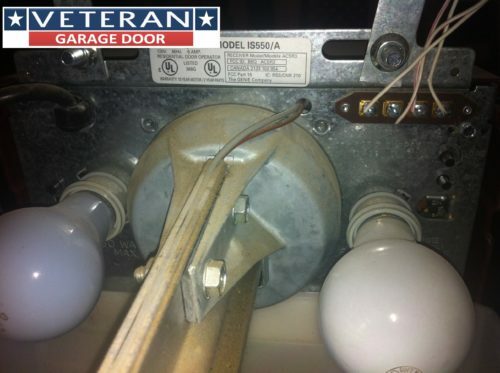 I have also been to several homes that had LED bulbs installed in the garage door opener and everything worked fine and remote range was not effected. 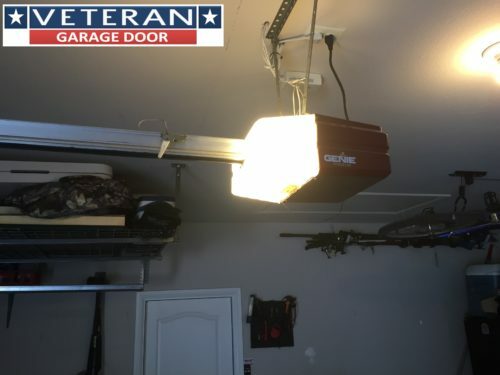 With all this in mind I recommend regular bulbs over LED bulbs, or if you really want to use LED bulbs, use the LED bulbs offered by Liftmaster or Genie that are designed not to interfere with your garage door opener.